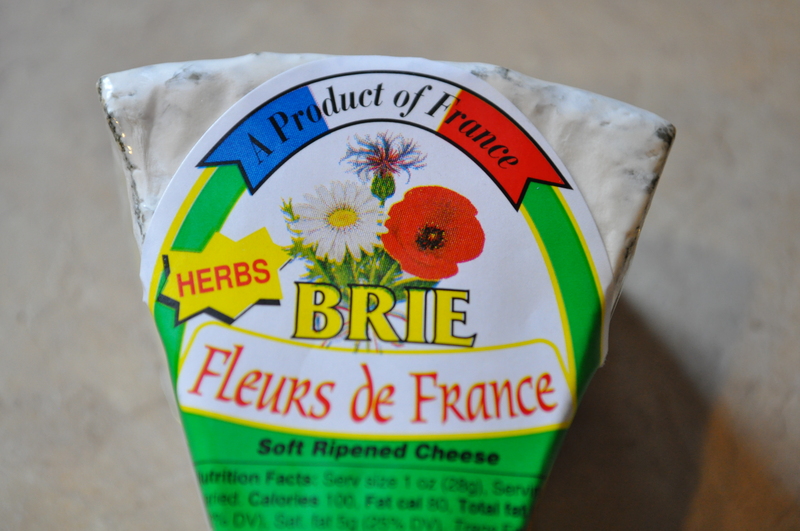 I purchased Fleurs de France brie at a local chain grocery. Though not a place where I normally expect to find good cheese, this brie was very nice. 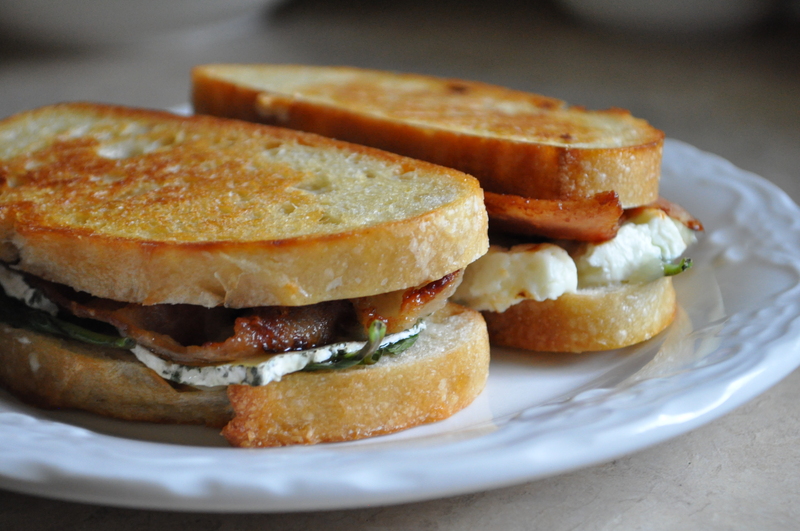 I ate it plain and on the Brie, Basil, Bacon and Blue Grilled Cheese featured here about a week ago. It was different that other brie that I have had in the past (not that I have had that many). It had the typical Brie flavor, accented by chives and parsley. The herby-ness was subtle but very nice. The rind and color of the cheese were similar to other bries. I did note that the cheese was slightly firmer than other brie. That oozy cheese in the very center of the wheel was notably less. That is not necessarily a bad thing. It held up very nicely for my sandwich. 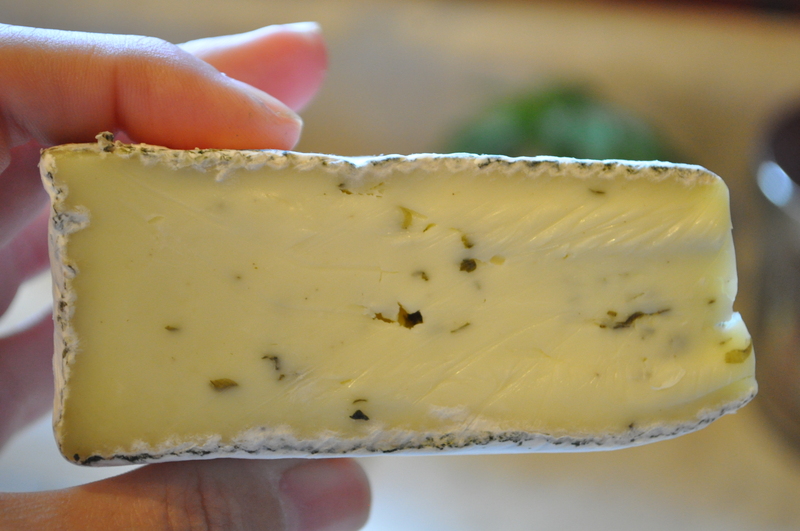 It would be a good cheese to use in a savory appetizer using brie. This cheese was about $13 per pound, making it a reasonably priced specialty cheese. Hi Anna. If you can find it, try Brie de Meaux. Truly superior. I will have to find it. Thanks for the tip. Looks great and we’re having brie for dinner. What, it’s a lazy cheese, pate and olives kind of night.